The Dutch design studio catalogtree has a produced a great portfolio of work accessible from its homepage's vast index of projects. Among them is TYPOPATH. 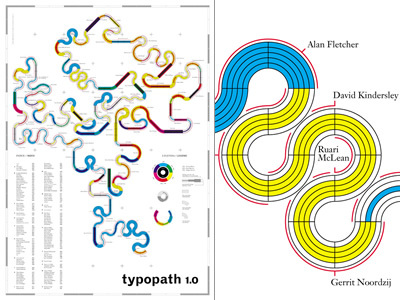 TYPOPATH is a Mental Map of three different people sharing their views on typography. 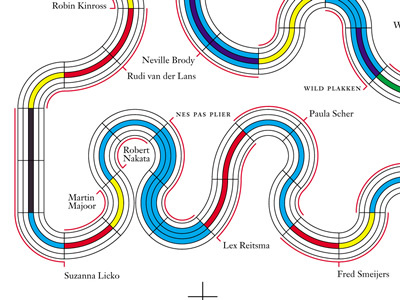 By asking them to give their opinion about 200 other typographers throughout the last 100 years (importance for the profession, personal importance) the map is generated automatically.